It is that time again when my blog friends and I are coming together to bring things back to the basics. Every month, we share tips for basic decorating or organization. Last month was all about back to school organization. I shared the new piece I put in my office that I can’t believe I lived without for so long. Today, we are talking about coffee table styling. I am so glad this is the topic this month because I had not decorated our back porch for fall yet and this pushed me to get it done. I started with the coffee table styling. Coffee table styling can be intimidating, but it doesn’t have to be. Don’t make it hard. Just like in my post on how to decorate shelves easily and inexpensively, styling a coffee table should start with a blank slate. Remove everything from the table and start fresh. I always start with a bigger piece as the “base” when I am styling my coffee tables. I usually choose a tray or box of some sort. Once I have that in place, I start adding smaller pieces to bring it together. Unlike our living room, our back porch does have a TV so if we have a movie night or are watching our favorite game, we will eat in the porch. I need something that is easy to remove from the table when we use it during these times. Starting with a tray or a box, makes it all easy to move. This will always be a decorating tip from me. Whenever you want to change any decor in your home, shop your house to see what you can use in different places. 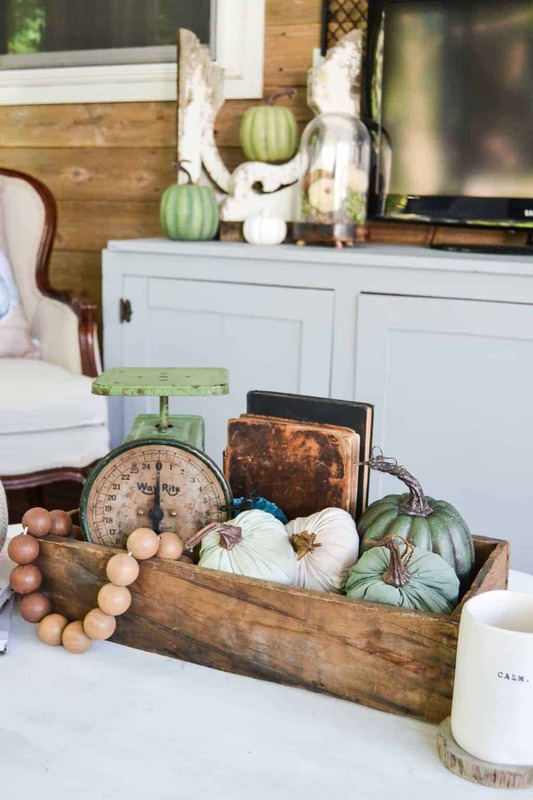 When a new season or holiday rolls around, it is a great excuse to give your coffee table a refresh. A new season or holiday gives you more options for your table. Add pumpkins for fall, candles for Christmas and flowers in the spring. Is your coffee table in a room that you watch TV in? Do you need space on your coffee table for people to set drinks on? Do you eat in the room? Think about how you need the coffee table to function to make your styling decisions easier. The Hot Spot at Target really helped me with my fall decor this year. I wanted a neutral color palette for fall and got rid of most of my past fall decor. The green pumpkins are perfection and really set the tone for the porch decor this year. How to you style your coffee table? Do you change it up for different seasons and holidays? Make sure to check out all of my friends’ coffee table styling tips and tricks too! Lindsay -You’ve done it again! You make decorating and design seem so practical and effortless! 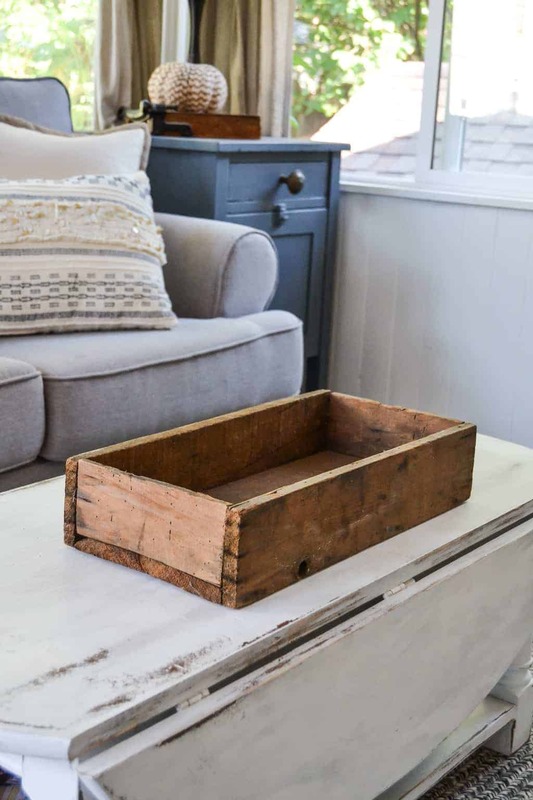 Love your coffee table and crate! 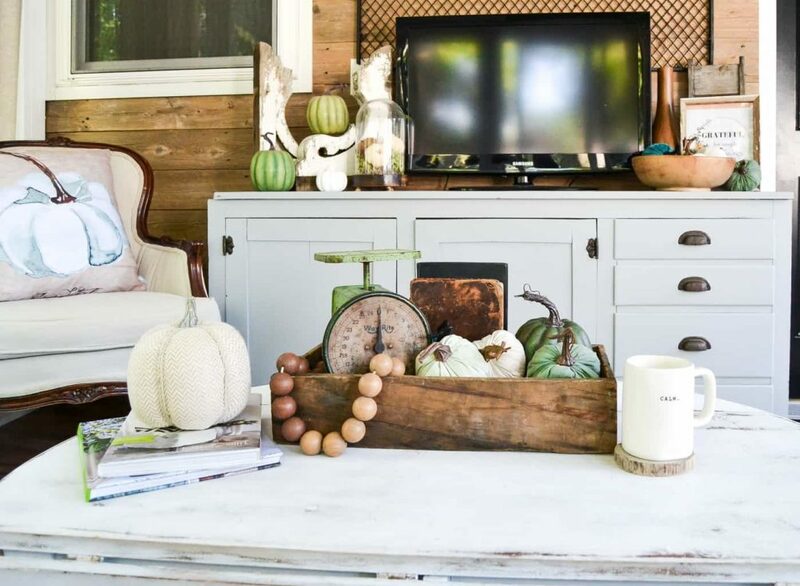 Love the fall vignette you created for your coffee table Lindsay! 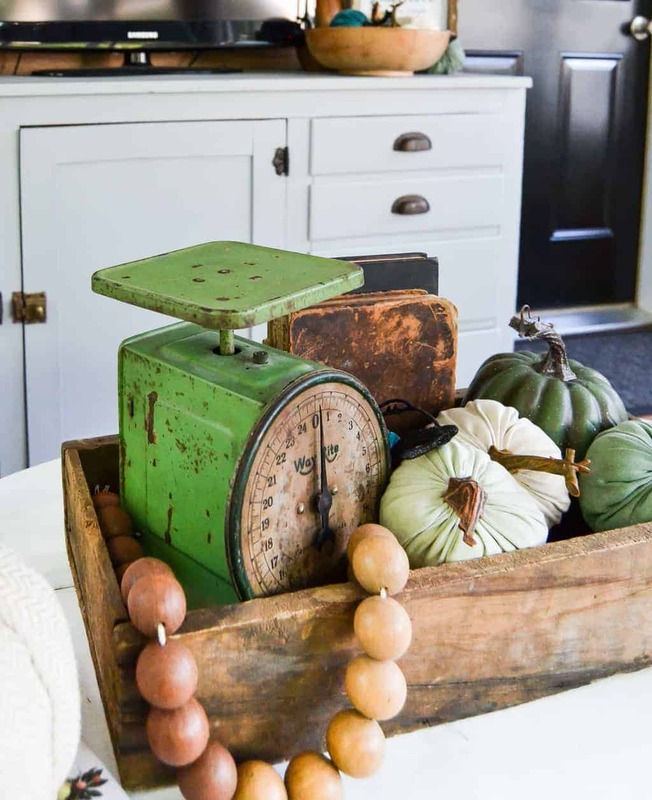 The green pumpkins and kitchen scale look so pretty. I always shop my house first and I almost always find what I need! 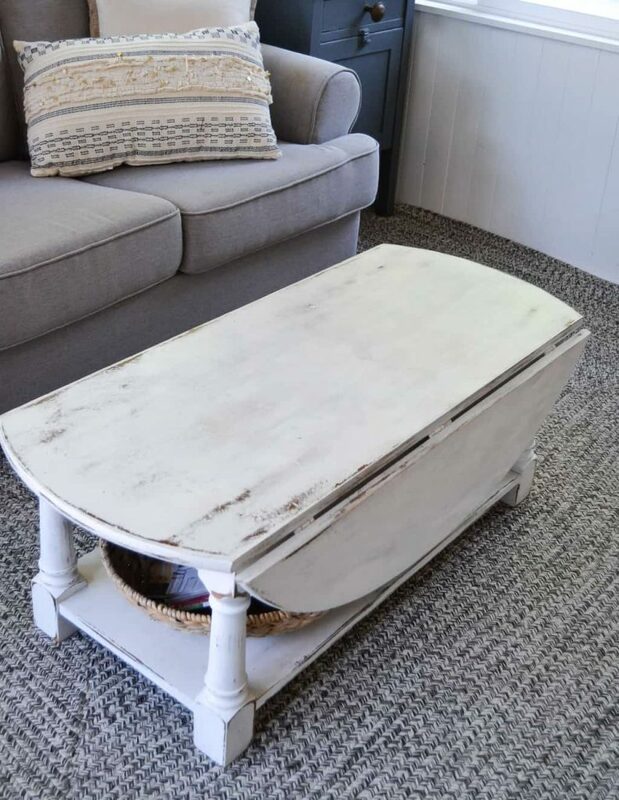 I love your coffee table and how you styled it, so beautiful! 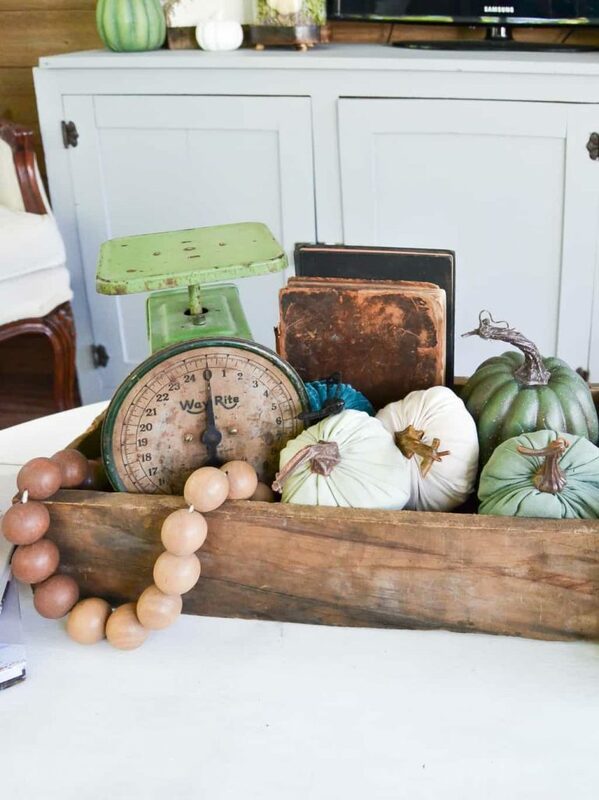 I love that big tray – and the pumpkins are so gorgeous! Lindsey…..your coffee table looks amazing. 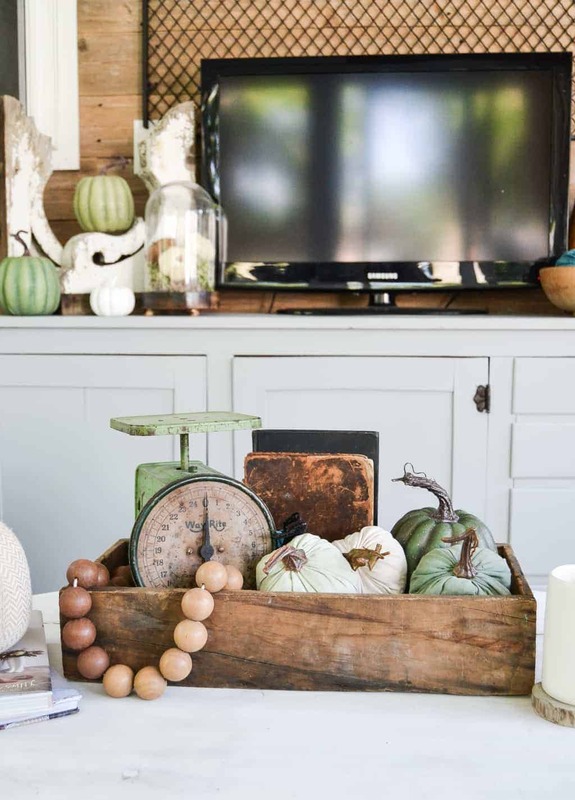 Love the color of green and white and the Fall items are so gorgeous. You pulled this together beautifully. GREAT tips! 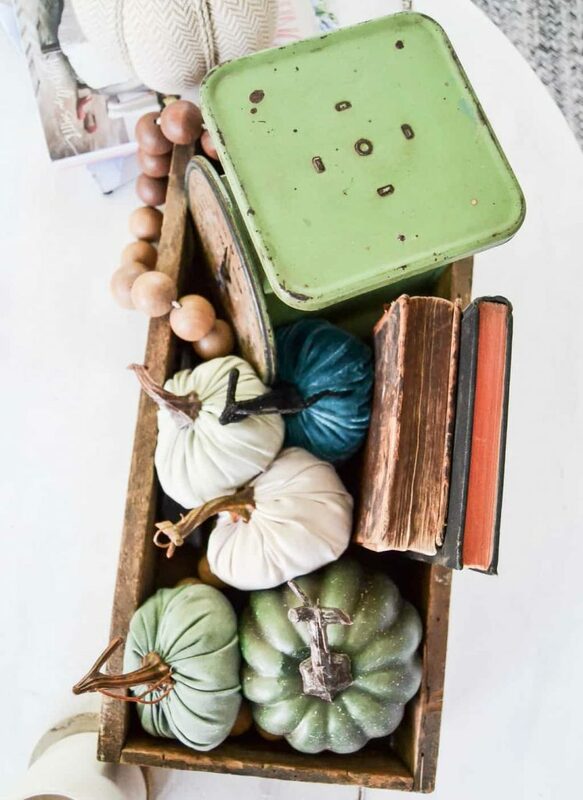 And I’m head over heels in love with that gorgeous rustic crate! So simple and yet so powerful idea! I love the concept and the look! I’m also loving the neutrals this fall! Looks like I need to make a stop at the Dollar Spot! Great tip on shopping your home. I often feel like I have to buy new, but that is so not true. If I look around, I always find something that works.